This table is brought to you by the German manufacturer, Kettler. It is an indoor/outdoor combination model that can withstand the elements if you choose to take it outside. It features some advanced features you don't see on cheaper tables such as telescopic rods that don't poke out through the end of the table, adjustable leg levelers, and anti-rust chrome plating. Equipped with a single man goalie, it does have rounded corners that keep the ball in play. 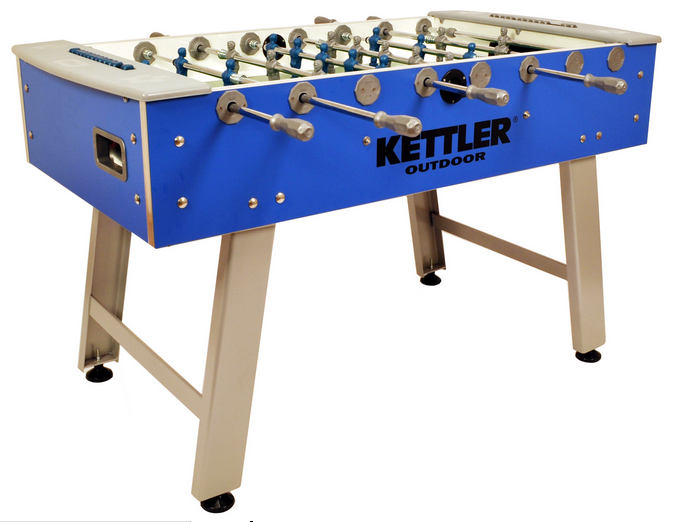 If you are interested in taking a look at the European style version, take a look at the Kettler Europa model.